Black Cool explores the ineffable state and aesthetic of Black Cool. From the effortless reserve of Miles Davis in khakis on an early album cover, to the shock of resistance in black women’s fashion from Angela Davis to Rihanna, to the cadence of poets as diverse as Staceyann Chin and Audre Lorde, Black Cool looks at the roots of Black Cool and attempts to name elements of the phenomena that have emerged to shape the global expectation of cool itself. Buoyed by some of America’s most innovative thinkers on the subject — graphic novelist Mat Johnson, Brown University Professor of African Studies Tricia Rose, critical thinking and cultural icon bell hooks, Macarthur winner Kara Walker, and many more — the book is at once a handbook, a map, a journey into the matrix of another cosmology. It’s a literal periodic table of cool, wherein each writer names and defines their element of choice. Dream Hampton writes about Audacity. Helena Andrews about Reserve, Margo Jefferson on Eccentricity, Veronica Chambers on Genius, and so on. With a foreword by Henry Louis Gates that bridges historical African elements of cool with the path laid out for the future, Black Cool offers a provocative perspective on this powerful cultural legacy. 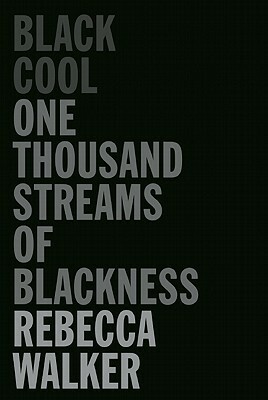 Walker and her band of scribes are in top form, giving a rich, varied picture of Black cool style. 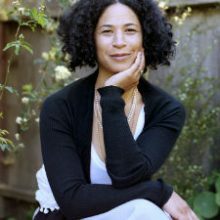 REBECCA WALKER is the author of the memoirs Black, White and Jewish and Baby Love and the editor of the anthologies To Be Real, What Makes a Man, and One Big Happy Family. Her writing has appeared in Bookforum, The Washington Post Book World, Newsweek, Glamour, Vibe, and Interview, among other publications, and she blogs regularly for The Huffington Post. She lives in Kahului, Hawaii.